Our 17-year-old Valentino was an only cat for five years since his sister Garbo died. 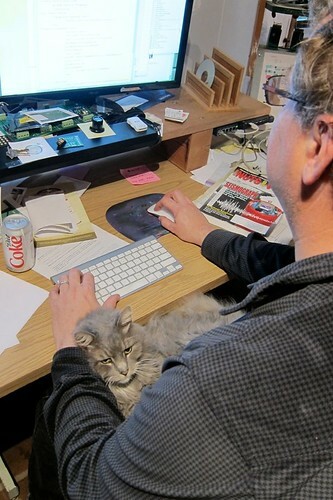 From December – April 2012, he reluctantly was host to my mother’s two Siamese, with much battling for turf and attention. Since my mother and her cats recently moved to a nearby senior community, Tino has been very happy to be the king cat again.